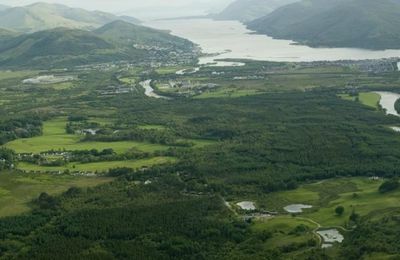 Torlundy and Tomacharich (pronounced TOMA-HARICH) is a small rural community just north of Fort William on the A82 near Nevis Range mountain centre. Torlundy is the home of Inverlochy Castle Hotel - a world famous hotel, known for its high standards of traditional service since the 1960s. This area is also where the The Great Glen Cattle Ranch once operated in the early 20th century. Today, Torlundy and Happy Valley is a quiet rural area with a scattering of private homes, B & Bs and self catering accommodation - living in harmony with small scale crofts and Highland Farms. You will find comfortable and friendly B&B at Torlundy Guesthouse and Tower Ridge B&B. 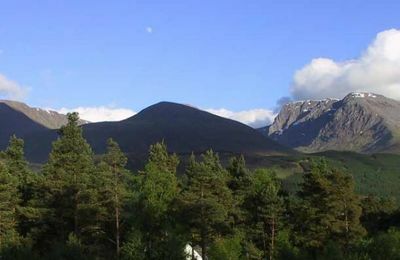 Tomacharich is a beautiful rural community adjacent to Torlundy with stunning views of Ben Nevis. 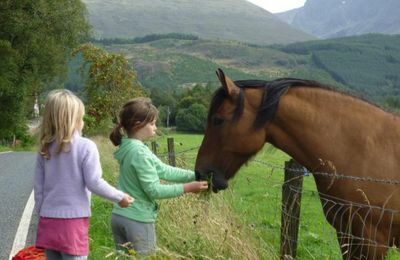 The community includes Torlundy Farm, a small rural Highland business farming sheep and Highland Cattle. 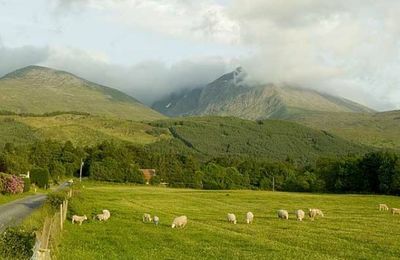 There is a stables and horses can be seen grazing in a meadow below Ben Nevis. 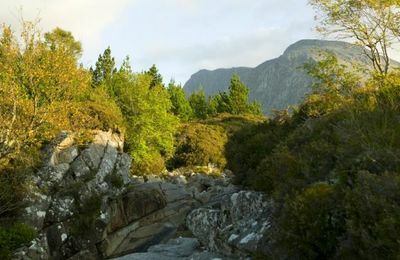 Great Glen Holidays operate self catering chalets, Lone Pine Lodge and Nevis Lodge. 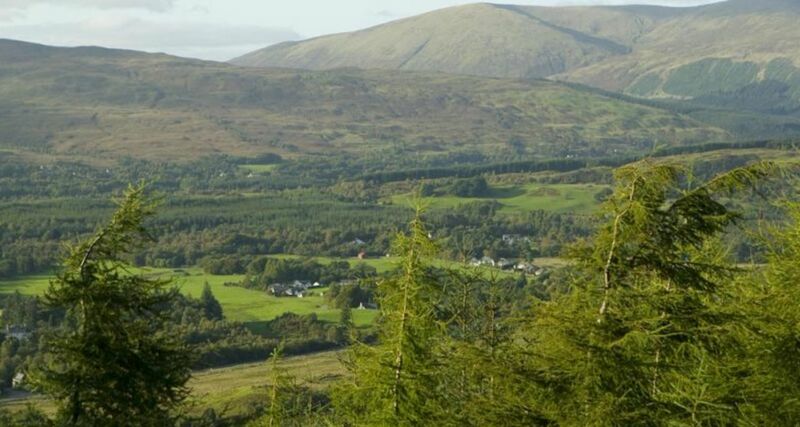 Look out also for Great Glen Yurts in Tomacharich. Torlundy Farm and also have two man-made trout ponds which provide great fishing sport. Rods and tackle can be hired by the hour. 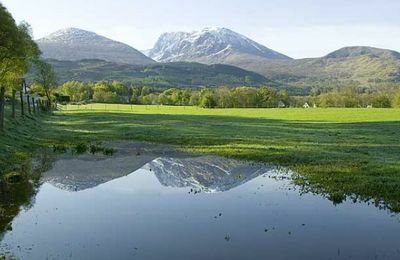 Often, reflections of Ben Nevis on these lochans are amazing. A well established, quality self-catering business Cedar Lodge nearby provides secluded holiday accommodation for up to 5 persons. Tomacharich also has a small number of good bed and breakfast places including Glen Marie and Woodside B&B. Rose Cottage is a great self catering option in Tomacharich. From Torlundy and Tomacharich the views of Ben Nevis are superb, with the north face of the mountain's crags towering into the sky. 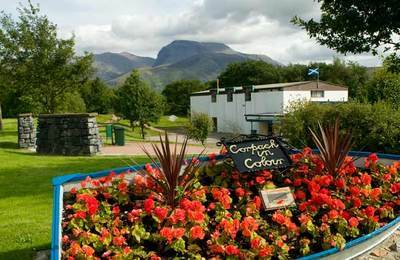 A new cycle and walking path was completed in August 2007 and this exciting facility means that locals and visitors can cycle to and from Fort William town centre and Nevis Range mountain centre including Leanachan Forst cycle paths and walks - without having to travel on the busy A82 trunk road. 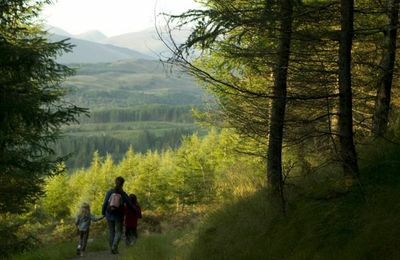 If you are looking for a peaceful place to stay for a short break or holiday, you can't go too far wrong here. Torlundy and Tomacharich are less than 10 minutes by car into town. We tried out the local bus service operated by StageCoach and were delighted to buy a "day-return" from Torlundy to Fort William. The bus arrived on time and the short journey into Fort William and back took less than 10 minutes each way. 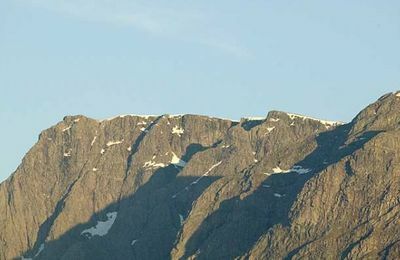 Ben Nevis, of course ! 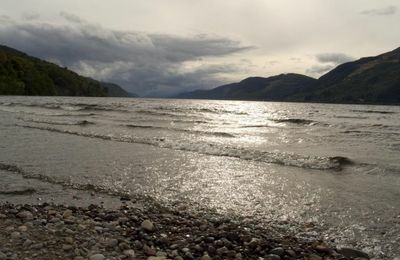 only 3 miles from Fort William !